IF things go according to plans, Nigeria’s 75 mega watts power project valued at $146 million will be commissioned next year. This is part of the Solar Power Purchase Agreement, PPA signed by the Federal Government and Pan Africa Solar, recently at the office of the Nigeria Bulk Energy Trader, NBET. The 75MW solar photovoltaic power project located in Katsina State, expected to be commissioned in 2017, will sell power for a tariff of 11.5 US cents per kWh. Speaking at the ground breaking ceremony, the Vice-President, Prof. Yemi Osinbajo (SAN), who was represented by Mrs. Lolade Abiola of the Sector Lead Solar and Access Advisory power Team, Office of the Vice President, said once commissioned, the 75MW solar project will be the largest of its type in Sub Saharan Africa (excluding South Africa) and will provide power for 1.1 million Nigerians. Apart from generating about 500 jobs for local people during the 12 month construction period, about 40,000 new jobs will be created from the additional economic activity stimulated by the power plant. 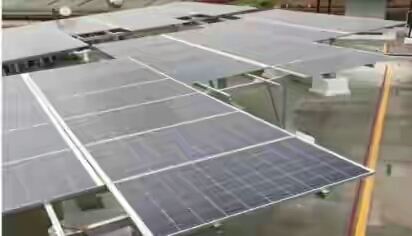 Pan Africa Solar Chief Executive Officer, Mr. Marcus Heal, commended the Federal Ministry of Power for pushing ahead with its solar energy policy, saying that the 11.5 US cents tariff was achieved through ‘’harnessing lower construction and lower solar panel prices and the commitments of the project’s Lender”. He said that Pan Africa Solar is developing a 1,000 MW portfolio of solar projects in Nigeria and is planning of bringing more than US$1 billion of investment over the next five years. According to him, the sponsor group for the project includes Pan Africa Solar and JCM Capital and the African Finance Corporation (AFC). The FMO are the Lead Arrangers of debt raised from the Development Finance Institutions that includes DEG and Proparco. The project is also receiving support from the World Bank, Power Africa and MIGA.